If you’re anything like us, football season is just as much about sharing delicious eats with family and friends as it is rooting for your favorite team. 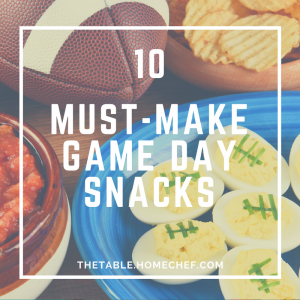 We’ve rounded up some of our favorite bite-sized game day snacks that are perfect for serious tailgating or couch sessions alike – foam fingers and body paint optional! 1. 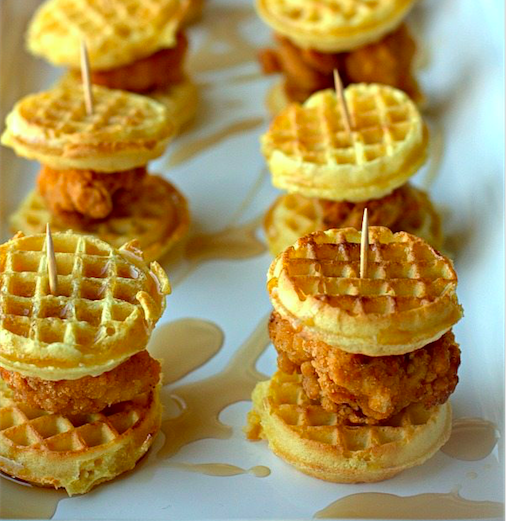 These easy Mini Chicken and Waffle Sliders are so cute, we bet you can’t eat just one. 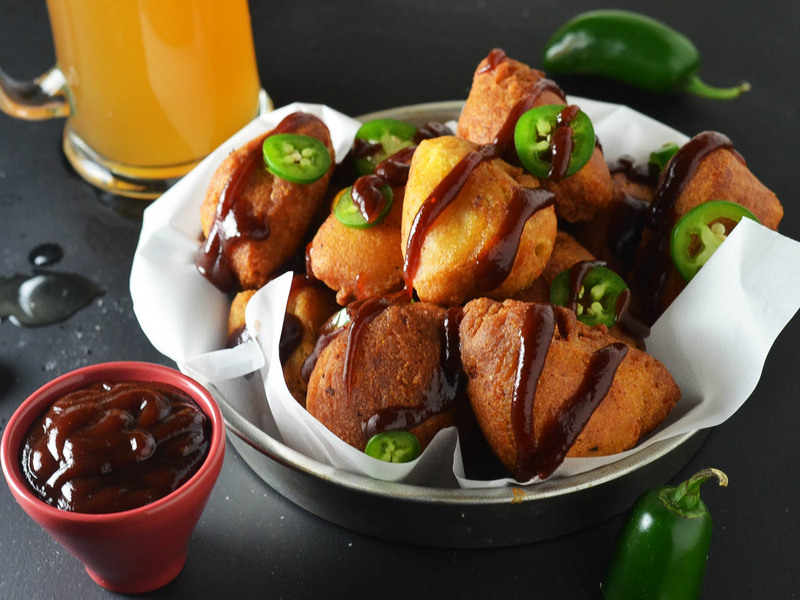 Pass the hot sauce, please! 2. 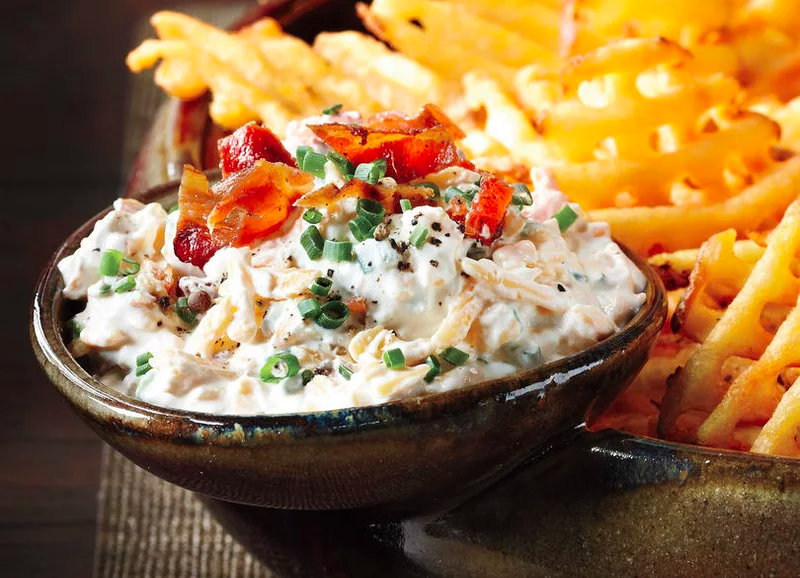 Whip up a batch of this creamy, bacon-studded Loaded Baked Potato Dip for some seriously delicious comfort food action. 3. We’re not going to lie – These Cornbread Pulled Pork Mac’n’Cheese Wedges take some planning and prep work, but the end result? So worth it. 4. 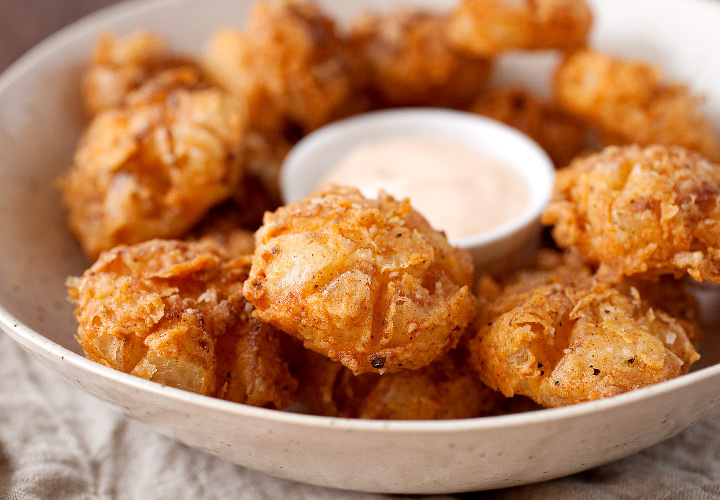 These Bite-Sized Bloomin’ Onions are so genius, we wish we had come up with it first. Just don’t forget the secret sauce! 5. 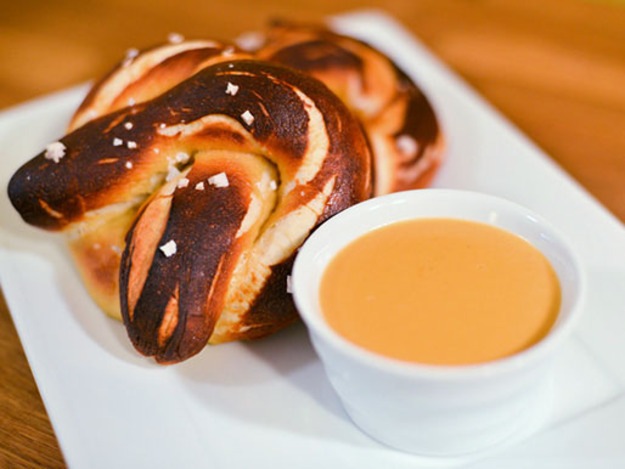 Soft pretzels, celery and apples would make the perfect partners for this dreamy Beer Cheese Dip. 6. No one can resist the magical flavor combo that is BBQ sauce and ranch. Try it on our Wood-Fired BBQ Chicken Pizza. 7. 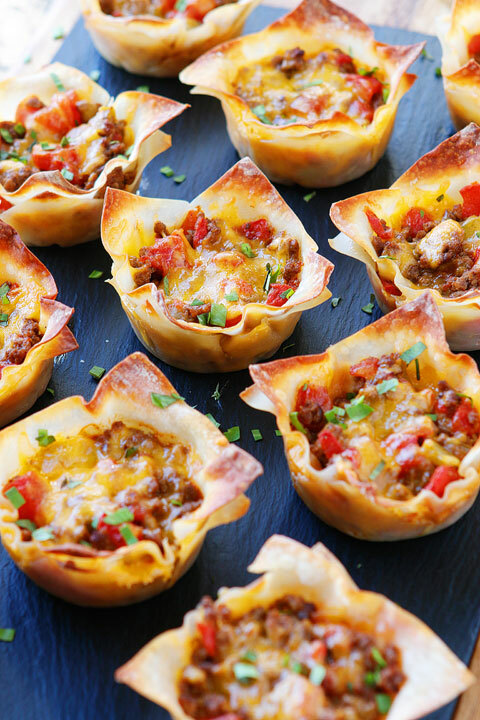 We already know tacos make great handheld food, but these Crunchy Taco Cups are a totally delicious upgrade. 8. 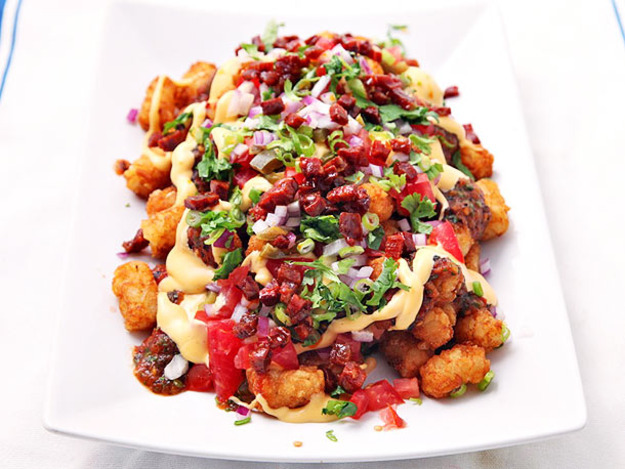 We didn’t think anything could top nachos, but turns out we were wrong once we laid eyes on these Fully Loaded Totchos. 9. 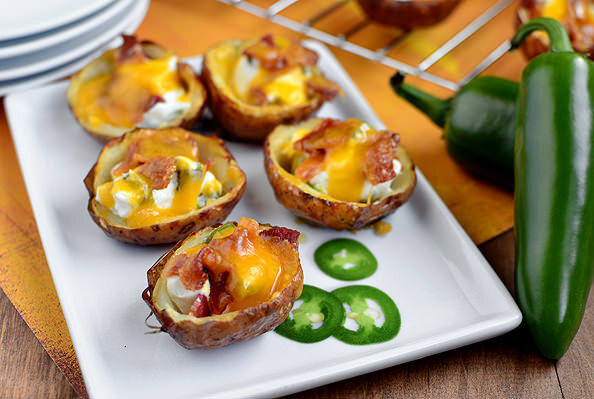 Two game day faves combine forces in these Jalapeño Popper Potato Skins. Need we say more? 10. And lastly, our Acapulco Steak Tacos will fly off the plate faster than you can say “Buen Provecho”! Check out more deliciously seasonal eats here. Wanna be the Game Day Champion?